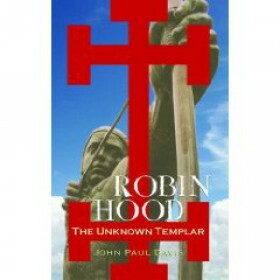 Historian JOHN PAUL DAVIS is a graduate from Loughborough University and has undertaken many months of research on the Knights Templars, which led to his discovery of new evidence as to the identity of Robin Hood. This is his first book. When carrying out research on the medieval Knights Templar, historian John Paul Davis recognised some startling facts and similarities that could potentially link the controversial religious order to the origins of the Robin Hood legend. In this his first book, the author offers a new twist for the readers consideration and his thought-provoking findings have uncovered some persuasive and plausible evidence that ensure the suggestions cannot be easily dismissed. In addition to its intriguing new insights the book also provides a substantial amount of informative background on the traditional Robin Hood legend which makes it a useful, “value for money” reference work to have on your bookshelf.